Rocky Wood is a legend in the horror fiction world. Horror Writers Association president, Stephen King expert, author, ambassador and all-round nice guy. For the past eighteen months or so, I’ve been working with Rocky on the graphic novel Witches!, which he is co-writing with Bram Stoker Award winner Lisa Morton and I am illustrating. In part one of this two-part interview, Rocky talks to me about his passion for all things Stephen King. Unsurprisingly, this was at the hands of Stephen King. I really didn’t read horror in my youth – in fact I don’t believe I read even Poe until my twenties. My taste up until then ran more to classic fiction like ‘War and Peace’, ‘Gone With the Wind’; historical fiction, including Michener and obscure but brilliant books like ‘Andersonville’ (McKinley Kantor) and ‘A Distant Trumpet’ (Paul Horgan); and political thrillers such as Allen Drury’s ‘Advise and Consent’ series (you’ll note a bias toward American fiction). My guilty pleasure was Robert Ludlum! And I read huge amounts of non-fiction – history and biography in particular. Then came the day I went to the movies to see the latest hit, ‘Carrie’. When did your “healthy obsession” with Stephen King begin? What was the first book of King’s that you read and what was that moment you knew you would become a lifelong fan? That night at the movies, of course! It was early in 1977 – the next day was a Saturday and in those days in New Zealand shops were only open until lunchtime. I headed to the three bookshops in downtown Wellington to buy ‘Carrie’ and none had it, so I walked off with ‘Salem’s Lot’. Within a day, Mr King had captured me for a lifetime! I guess I didn’t know it then – it probably took a book or two more – ‘The Shining’, and then ‘The Stand’ before I knew I needed to read everything King had written and would ever write. As a university student I didn’t have a lot of spare cash, but I bought King, Michener and Ludlum in hardback, as they came out (Clancy supplanted Ludlum when the latter got rather repetitive), which was the indication I was hooked. I know the big fellow doesn’t like being reminded ‘The Stand’ is a favourite of most fans, bemoaning that ‘Stand-fans’ wouldn’t care if he’d never written another word but that is really not true. ‘The Stand’ welded many of us on and we hung out, we still hang out, for every new book and short story. What inspired you to want to collate everything King has ever written/created. How did you motivate yourself to even take on such a task? Well, I’d been a freelance journalist through my university years and did quite well both in terms of getting published and in terms of earnings in those days. I pitched a few books (non-fiction) but didn’t get a bite. Then my corporate career took off and I began concentrating on that and left writing behind. I came back to it twenty years later, at the beginning of this century (wow, think about that, being far enough into a new century that we can talk that way) when I woke up one day and remembered how much I had enjoyed writing. I am one of those people who can work a 10-12 hour workday and then write for a few hours, at the end of which I feel totally refreshed and relaxed. Writing is cathartic for me. So, when I decided to write again I retained my earlier view that if you write you should get paid for it (not for everyone I know, but as a freelancer you soon learn to focus on consistent, paying markets). I basically developed a business plan for myself that played on my perceived strengths – I knew I could get paid for non-fiction and I knew King’s work intimately; combined with what the market might want – if a book about King couldn’t sell, what would? Then I made a big mistake (one that paid off). 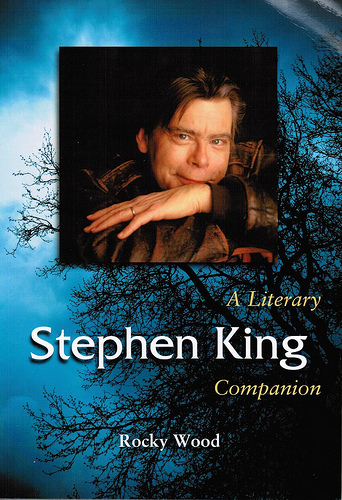 I formed a partnership with David Rawsthorne and Norma Blackburn to compile ‘The Complete Guide to the Works of Stephen King’ – this turned out to be over 6000 pages on compact disk – an ‘electronic book’ (which was unusual in 2003). The mistake was the word ‘Complete’ – I am a perfectionist and having decided to be ‘complete’ meant I would have to somehow access the really obscure King stuff, including his Papers at the University of Maine Fogler Library. And in those Papers are unpublished novels and so on that can only be read with King’s written permission. A daunting task indeed, especially as I live about as far away from Maine as you can get and I had no contact with King. What to do? I wrote to his office saying I’d like to travel to Maine from Australia and I had allowed three weeks to sit in the Fogler reading the materials there for my project but that I needed SK’s written permission to read the ‘Restricted’ works. To my delight I got a very quick answer from Steve’s wonderful PA (who is now a good personal friend) saying something to the effect that Steve had said if I was silly enough to travel all the way from Australia and sit in a Library for three weeks I was welcome to read the Restricted materials! The motivation really wasn’t too hard – when I set my mind to something it gets done. And after all I was setting myself a task of reading and summarizing everything written by my favorite author! How did it feel when you found those obscure pieces King wrote that were thought lost? Well, it was I who found them, as I travelled to Maine in 2002 and then another five or so times since on my research. It felt fantastic – the whole process was like being an archaeologist – following a range of obscure clues and then determining where to look. The first lot of a dozen or so stories I found were all in the Fogler – some were in the public boxes and to this day I remain surprised that other researchers hadn’t found them. Each time I found one my spirits lifted, as I had the joy of first reading the story and then revealing the fact that it even existed to the world of King fans. There is an important point to make here – I believe King to be the equivalent of a Twain or a Dickens. So much of their work may have been lost for all we know and I am determined that should not be the case with King. Future generations of readers, critics and historians should know about as many of the things he’s written as possible, no matter how obscure. Many of them inform his development as a writer, and much of the earlier stuff reflects themes he would later develop in his well-known popular work. Almost every historian bemoans lost material about their subject (say Lincoln) and I hope I am contributing by documenting works that would otherwise have been lost to the sands of time. I want to make a point here – in the end all this material is actually Stephen King’s – if he wants to bury something or destroy it that is entirely his right. But when he lets it out (say by putting it in his Papers), or when it was published but just ‘lost’ (‘The King Family and the Wicked Witch’ for instance) then I am pretty sure he thinks it fair game. One thing I know about Mr King is that he doesn’t believe in censorship and that would include his own materials gathered from the lost corners of America. Perhaps more interesting in terms of finding lost pieces was his non-fiction. Most people don’t know he has published over 800 pieces of non-fiction. Justin Brooks and I decided to write a book, ‘Stephen King: The Non-Fiction’ that would cover every single piece. There I was again, setting myself a nearly impossible task. Back to Maine and visiting small town libraries, historical societies and so on – looking for material King may have written and published in his high school and university years. And there they were – forty odd new pieces, ranging from a defence of America’s role in Vietnam (!) through to pieces about basketball in his local newspaper. Again, I am pleased to have found those and brought them to the attention of future researchers. Some of these works might have been lost forever if we hadn’t ‘dug them up’ and put arrangements in place for them to be preserved. Needless to say, I haven’t given up (neither has Justin) and we still regularly turn up ‘lost’ or unknown pieces (largely non-fiction). Have you ever met Stephen? I have never met Steve. This may seem strange but remember I live over ten thousand miles away. During my trips to Maine he has been unavailable and I totally respect that – he recently said even those professionals closest to him often forget that writers need clear time in which to practice their craft. So, I have been very careful to respect his time and his privacy. He and his office have been incredibly generous to me (in fact, King is incredibly generous full stop – both to the horror and writing communities, and to ‘community’ in general). One of the restricted unpublished novels I read was ‘Sword in the Darkness’ – not a great book, but buried in it was a lengthy chapter (a horror tale) that shone a light on the King that would burst into our lives just a few years after he wrote it. In terms of his development it is an important piece and one of the characters (Edie Rowsmith) deserved a life outside a cardboard box in the Library. I asked if we could publish that chapter in my first printed book, ‘Stephen King: Uncollected, Unpublished’ and free Edie from her darkness, and King kindly agreed. He later agreed to allow a ‘lost’ poem, ‘Dino’ to be included in the same book. And he allowed me to republished an obscure piece of non-fiction, ‘My Little Serrated Security Blanket’ in ‘Stephen King: The Non-Fiction’. I send him every ‘lost’ piece I find, so that he has a copy. 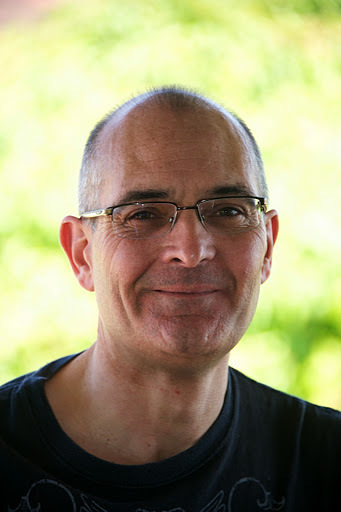 In part 2 of the interview Rocky will reveal how he became involved with the Horror Writers Association, why he loves horror, his diagnosis of Motor Neurone Disease and what readers can expect from him in the near future.